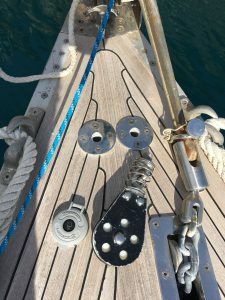 Paul – I have all the original drawing for my boat, which includes “to scale” drawings of the deck with spi poles. 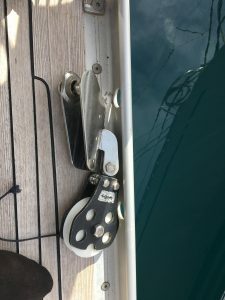 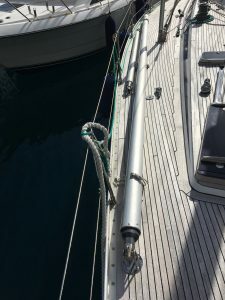 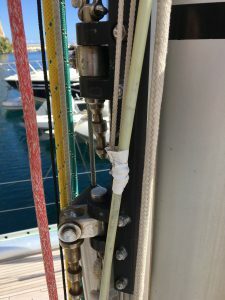 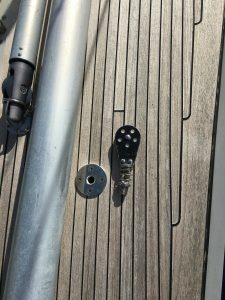 Lars – There should be deck fittings abt 1 ft aft of the stemhead for screw-in spinnaker pole downhaul (fore guy) blocks. 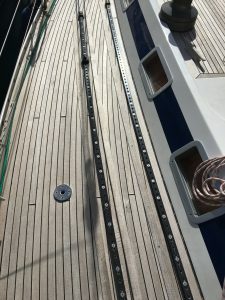 From there the lines are led aft to convenient winches. 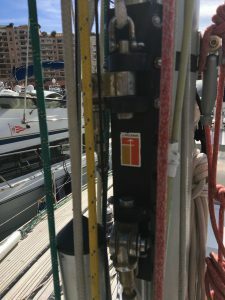 Do you have a drawing that you could share of the spinnaker pole downhaul setup?